Pink Umbrella Photography: Three Turkey Crafts for the Kiddos!! 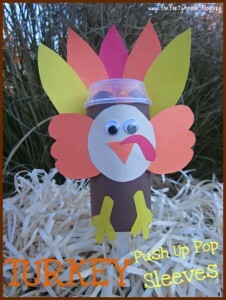 Three Turkey Crafts for the Kiddos!! Here are some ideas to keep your kiddos entertained this week while they are out of school for the holidays. 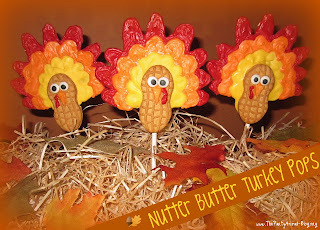 While you are cooking your Thanksgiving dinner give them something easy and fun to do too. Check these ideas out. I found this at The Party Animal and she has step-by-step instructions that are super simple. This next idea is too cute. This would be so much fun for the kiddos to do this week before Thanksgiving. Hop over to The Party Animal and check out some more of her great ideas for the kiddos to keep busy with. I love her site. 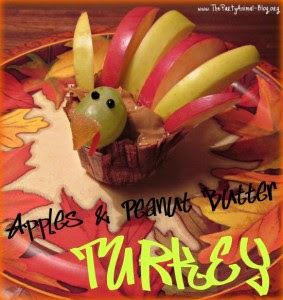 I am definitely going to use the peanut butter and apple turkeys as a snack in my preschool. Thanks for sharing at Mom's Library!